You are here: CoolUtils > Total Doc Converter X > Convert Doc to HTML via Cmd with Coolutils tools. It is easy to turn Doc to HTML through web-server having Total Doc ConverterX installed on it. Using ActiveX you can integrate converting facilities to any existing web-application to make it a part of your web-service. Total Doc ConverterX is basically an SDK that can be customized for any user’s purposes. 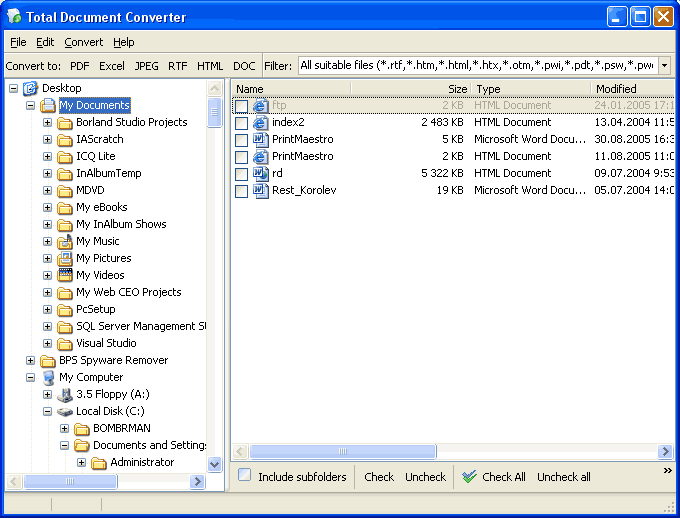 Besides this the converter can be used in default standalone mode, as a convert Doc to HTML command line utility.